Today (Friday, January 29) the history department will celebrate the many books recently published by members of our department, and their authors. Members of the UVM community and the general public are cordially invited to join us at 4 PM at Billings Library Apse for free food and brief remarks by several of the authors. As part of our celebration, this week on our blog we are featuring short commentaries by the authors on their books, and the research and writing that went into producing them. In this fifth and final installment, we hear from Professors Denise Youngblood and Frank Zelko. Professor Youngblood joined the UVM History Department in 1988. She teaches Russian and East European history; her research focuses on the cultural politics of Russian and Soviet cinema and the Soviet historical film. She has recently published a new book, and a book she co-wrote in 2010 has been reissued in paperback. 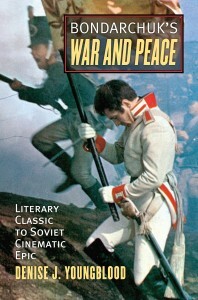 Youngblood, Denise, Bondarchuk’s War and Peace: Literary Classic to Soviet Cinematic Epic (University Press of Kansas, 2014). 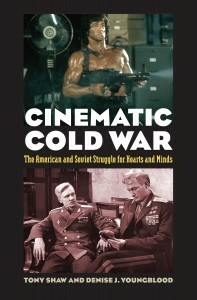 Youngblood, Denise, and Tony Shaw, Cinematic Cold War: The American and Soviet Struggle for Hearts and Minds (University Press of Kansas, 2014) (paperback edition, first published 2010). “For the last nine years, my scholarship on Soviet cinema has focused on the Cold War, which I never would have predicted when I started at UVM. My work at that time was firmly rooted in the early years of Soviet power and the Soviet silent film industry. I wrote two books on that subject (Soviet Cinema in the Silent Era and Movies for the Masses) before turning to an even earlier period, late imperial Russian cinema (The Magic Mirror). I eventually ventured into the world of sound cinema, with a genre study that covered nearly a century of Russian films (Russian War Films). After that project finished, I was frankly at a loss as to what to write about next. Fate intervened, in the form of an invitation from Tony Shaw, Professor of History at the University of Hertfordshire in the UK, to co-write a comparative study of American and Soviet Cold War films. I thought, why not? I’ll learn something new. 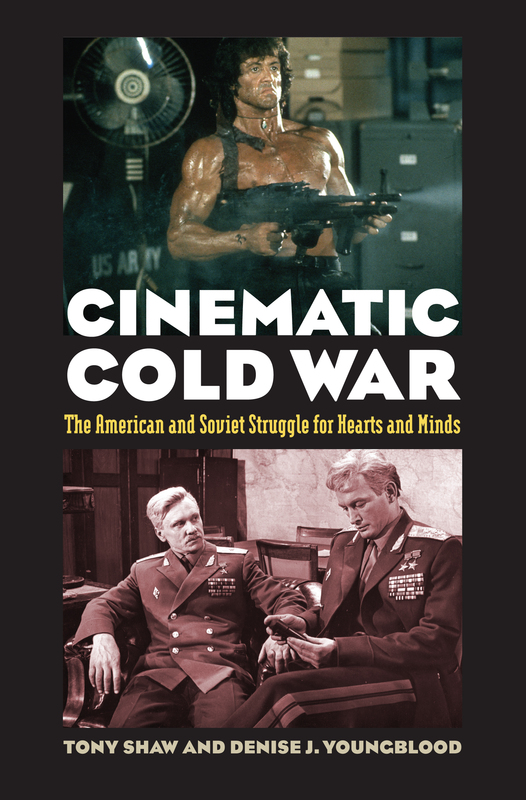 Our book Cinematic Cold War: The American and Soviet Struggle for Hearts and Minds, first published by the University Press of Kansas (which specializes in Cold War studies) in 2010, was reissued in paperback in 2014. This book is the first comparative survey of cinema’s vital role in disseminating Cold War ideologies. It has been praised as “an insightful and novel introduction to the visual culture of the Cold War” (Slavic and East European Journal), “a stimulating and richly informative work” (Studies in Russian and Soviet Cinema), and “an important contribution to our understanding of Cold War culture” (Journal of American History). Over the course of this research I became fascinated with a Cold War film that we did not cover in Cinematic Cold War: the eight hour Soviet adaptation of Leo Tolstoy’s War and Peace. This film, directed by Sergei Bondarchuk, was commissioned by the state as a direct response to King Vidor’s 1956 American version of the novel, which was screened in the USSR and became very popular with Soviet audiences, who fell in love with Audrey Hepburn as Natasha Rostova. Vidor’s film was seen as an affront to Russian national pride, so Bondarchuk’s film had to be bigger and better in every way. It was, taking six years to make (1961-67), at a cost of $700 million in today’s dollars. It is still the most expensive film ever made and became the first Soviet film to win an Oscar for Best Foreign Language Picture. 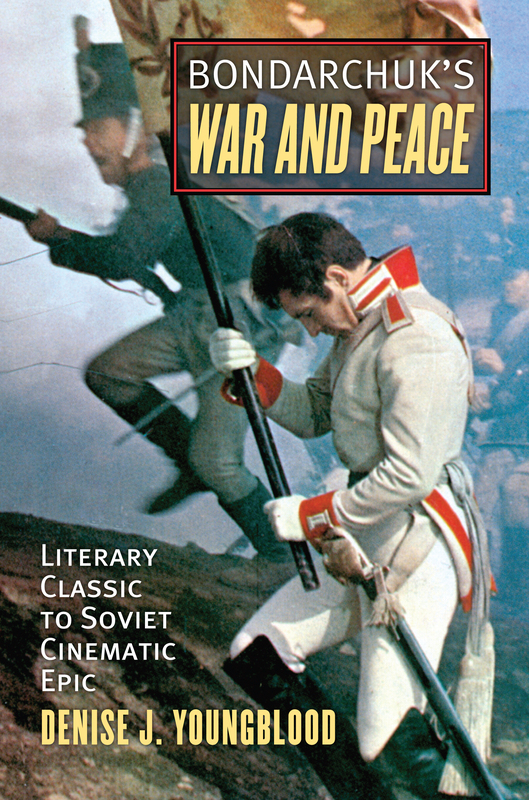 This is the subject of my 2014 book Bondarchuk’s War and Peace: Literary Classic to Soviet Cinematic Epic (University Press of Kansas), which analyses the movie as a Cold War epic, a literary adaptation, a historical film, and more. Professor Zelko specializes in environmental history. 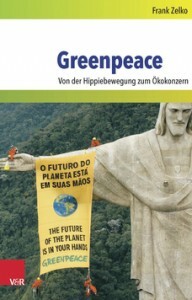 He has recently published a new, German-language edition of his history of Greenpeace, Make it a Green Peace (first published 2013) with additional material and extra chapter on Germany. Zelko, Frank, Greenpeace: Von der Hippiebewegung zum Ökokonzern (Vandenhoeck & Ruprecht, 2014).